We, the priests, deacons, subdeacons, readers and parish delegates welcome you on the great Holiday of Holy Pascha. Our regular diocesan conference convened on Bright Week, from May 8-11, 2013, at our house at the Church of Holy Great Martyr and Healer Panteleimon in Leysin, Switzerland, presided over by His Eminence Archbishop Michael of Geneva and Western Europe. Archbishop Michael gave his keynote address on the history of the diocese, providing details on little-known events. The clergymen and lay delegates then reported on their parishes, sharing their troubles and their desires. Many positive developments were noted during the speeches from recent years in the life of our diocese: church attendance has increased; new priests have joined the ranks of the clergy; several parishioners have been ordained to the rank of reader. We wish to greet our communities which could not send a delegate to the conference. Their parish life, nevertheless, did not go unnoticed. It is especially joyous to not the acceptance into our diocese of several communities in Spain. On behalf of the gathered clergymen, we deem in necessary to remind our parishioners that every individual is called upon for salvation, manifested through meeting Christ and constantly labors in following His will, which is impossible without the Church. 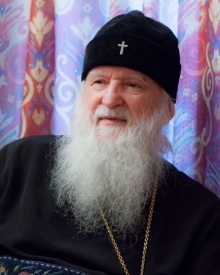 Addressing young parents, we wish to emphasize that coming to сhurch should not be limited to the Mystery of Baptism, but assumes that children will frequently, if possible weekly, partake of Communion. We call upon our parishioners to play a more active role in the life of their parish: not only by attending services, but helping rectors in organizing parish schools, Bible study and theology discussions, pilgrimages, and other measure which enable the education and unity of parishioners. It is very important that all the faithful feel responsibility for their parish and church, supporting them to the extent of their possibilities and donations. In a world which is losing its moral pillars and more and more forgets the laws of God, we are obliged to raise our voice and constantly bring reminder that we remain true to Christian foundations. We are all workers in the vineyard of Christ, and the good fruits with the Lord, the Master of this vineyard, expects from us are repentance, prayer, forgiveness and love. Remaining true to the history and traditions of the Russian Church Abroad, whose children we are, we treasure our unity with the Russian Church and recognize that we need to expend energy to strengthen our communion. Over three days, we have had the opportunity to pray together, to celebrate Paschal services and Liturgies. In the Church of Holy Great Martyr and Healer Panteleimon, we lifted our prayers for the health of our dear flock. We gratefully remember our spiritual guides who have departed to the Lord, we pray for the repose of their souls and rely on their prayerful intercession. Enveloped in Paschal joy, we bear witness to our unity and mutual love in Christ Jesus, Resurrected from the dead.